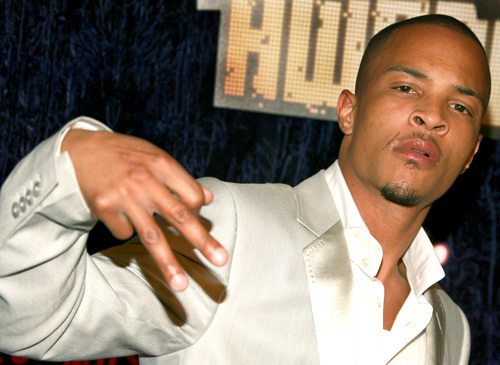 Rapper TI‘s 10-year contract with Atlantic Records has come to an end which means he could either go back to the record company or find something better. Well, it looks like he has already made up his mind as he has put himself up for bidding, telling record companies he wants $75 million for him to join the label that is willing to cough up the huge sum. It’s a very good deal, considering that he will not only make three albums under that label, but also offer them his television and film, touring, book publishing, and merchandise rights in which he says he would want 10% from. The rapper, whose real name is Clifford Harris, isn’t having any trouble finding people who are ready to offer him that amount, he has already got three people who are interested. Sony has supposedly already offered $50 million to the ‘Live Your Life’ artist, despite having asked for $25 million more. Universal has set up a meeting with him for next week to talk about a potential agreement on their undisclosed amount, while Dr. Dre and Jay-Z have also shown their interest into signing TI under their label (Interscope and RocNation). TI will most likely decide which label he wants to go to by the end of the month.